We are Chartered Civil and Structural Engineers in Steyning, Brighton, Chichester & Guernsey. 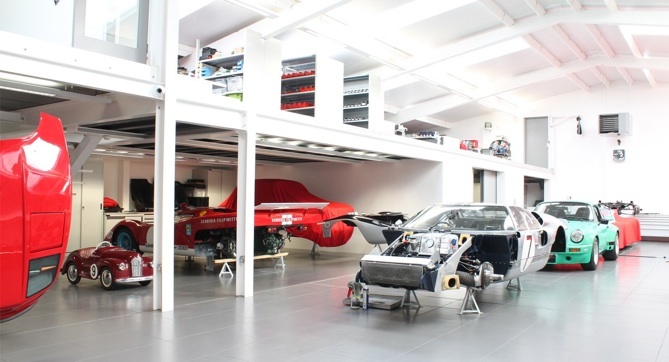 We work on commercial, residential, light industrial, educational and healthcare projects nationwide from Scotland to the Channel Islands, but predominantly in London and the south of England. A modern company, fresh ideas, a professional client focused approach to Civil and Structural Engineering. 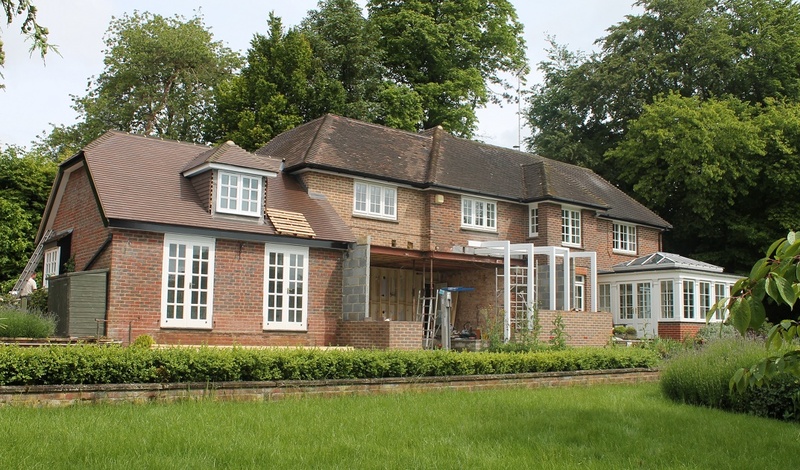 McCarey Simmonds are responsible for the structural engineering design of the superstructure of a detached three storey residential house being constructed in Horsley, London. Although clad in brick and dark zinc, the superstructure behind is of structural insulated panel SIP with steel framing in areas of high loads. The entrance and detached garage are sedum roofed. The Architect is Australian born Luke Zuber who’s sympathetic yet highly modern design will bring an interesting mix to the street scene of Crouch Hall Road. If you are considering a SIP build, give us a call for an informal chat. 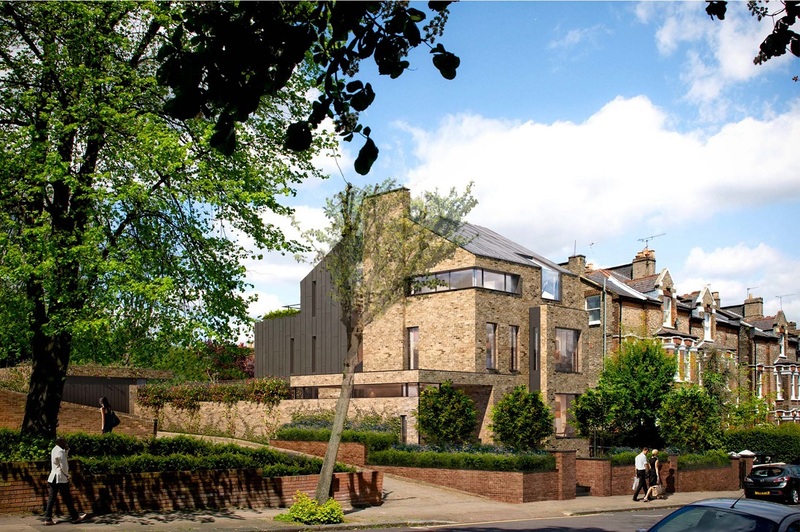 McCarey Simmonds start work on the structural engineering design of three high end residential houses in Highgate, London, each with a sale value in excess of £10 million. 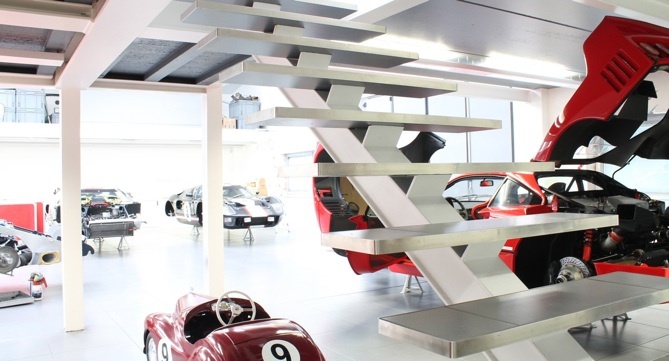 Working again with obarchitecture, McCarey Simmonds were responsible for the Structural Engineering design for the conversion of an existing precast concrete portal framed warehouse structure into an automotive workshop facility for a team of internationally respected motorsport specialists in Hampshire. 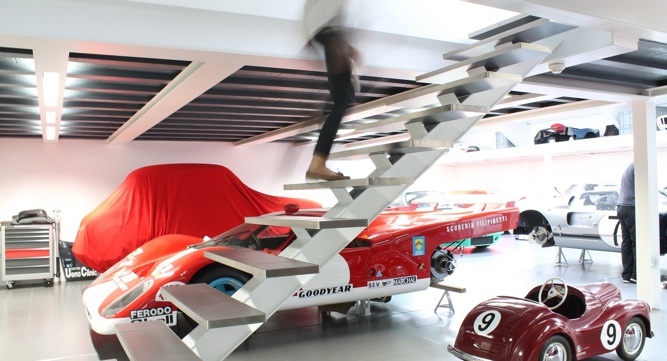 Works involved the creation of an exposed mezzanine within the structure. 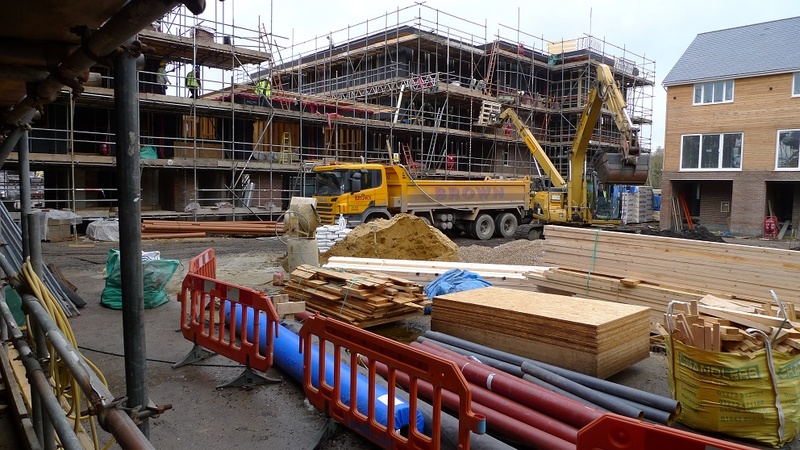 McCarey Simmonds are acting as client’s engineer on Phase 2 of The Nurseries in central Lewes. 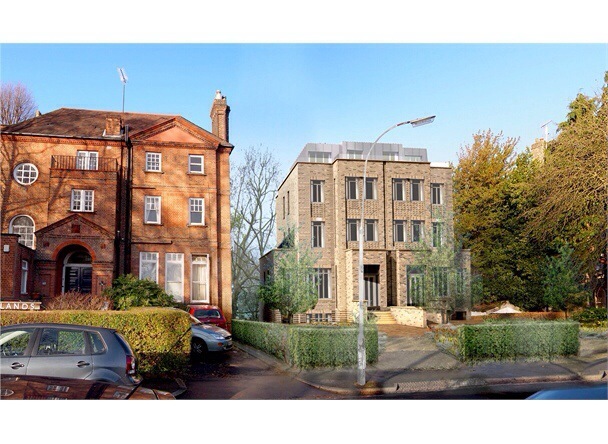 This development of 41 units, part town houses and part apartments are of timber frame construction with a masonry external leaf built off piled reinforced concrete ground beams. The project is managed by Accel Consulting Limited, architecturally designed by Axiom Architects with McCarey Simmonds being responsible for the foundation design and for overseeing the timber frame superstructure. Works start on site on obarchitecture’s kitchen extension in Winchester. McCarey Simmonds are responsible for the structural Engineering design allowing for the complete opening up of the central kitchen space within the building. August 2008 saw a milestone reached with the formal handing over of keys by Graham Construction to the new Maddiston Primary School in Falkirk, Scotland. The event took on special significance given that nine months before the ‘almost completed’ school was partially destroyed by fire. 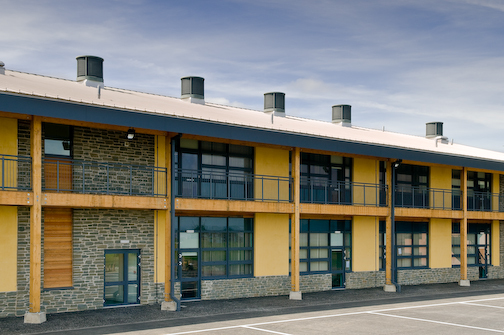 McCarey Simmonds were responsible for the structural engineering design of the superstructure of this two-storey timber framed primary school (5,108m2) which was constructed on a greenfield site. The two storey school stands as a model of sustainable construction having been built using a host of notable sustainability techniques. 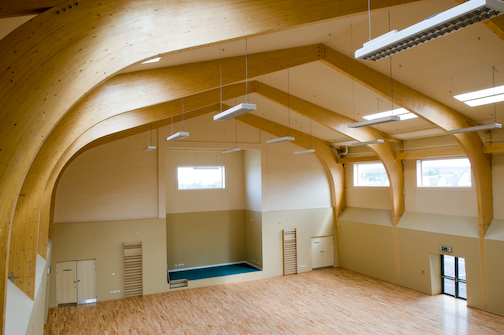 All timber in the project, including the substantial timber framing is from 100% Sustainably Certified Timber sources under the Forest Stewardship Council (FSC) scheme. The block work used is a recycled Enviroblock, the walls are treated with recycled newspaper insulation and the playground surface is made from 100% recycled tyre rubber. 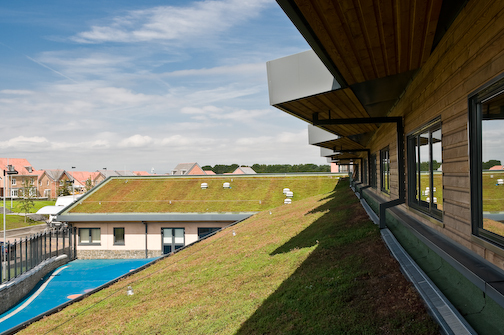 The sedum grass ‘green roof’ provides green ecological space and acts as a natural water retainer, thus minimising the risk of flooding. This blends effortlessly with local stone which was used for the façade with traditional Lime mortar. 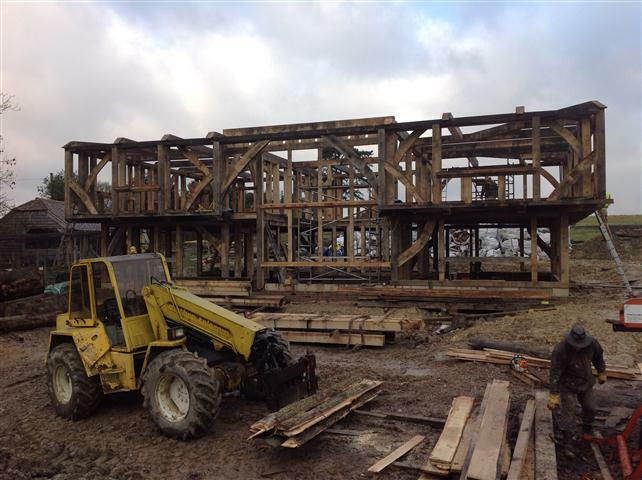 McCarey Simmonds, specialist timber engineers, are designing a new house to be build of green oak in the style of a 16th Century ‘Wealden Hall House’.This is a type of vernacular medieval timber-framed yeoman’s house traditional in the south east of England. The aim is to satisfy Code for Sustainable Homes level 5. 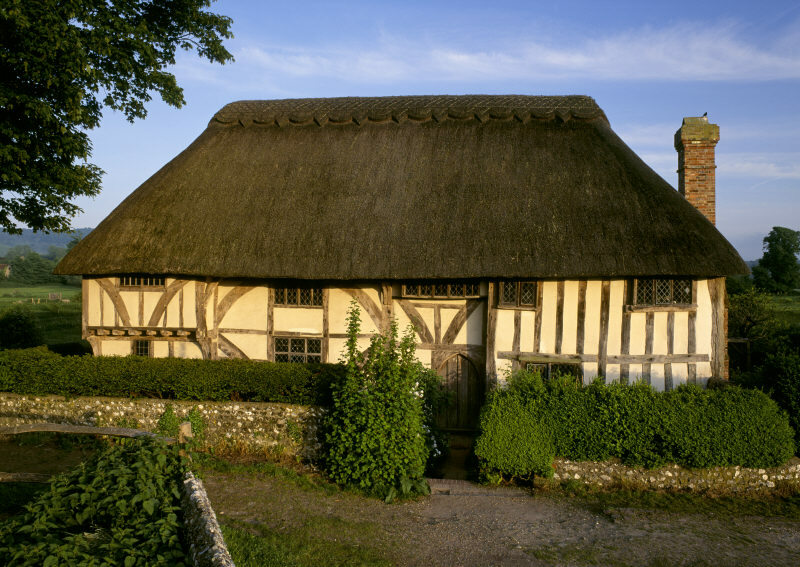 When complete the building will be very similar to the Alfriston Clergy House below. 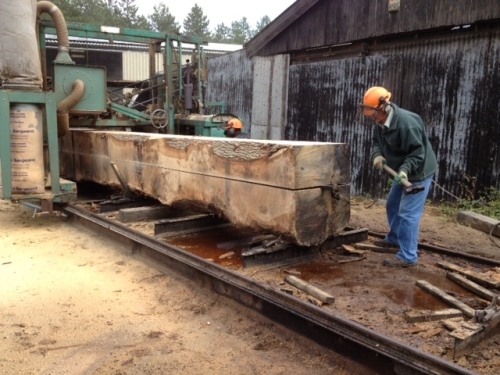 The client, Peter Mahon is actively involved in the build process having set-up a Woodmizer sawmill to facilitate the milling of 500 tons of FSC English oak . 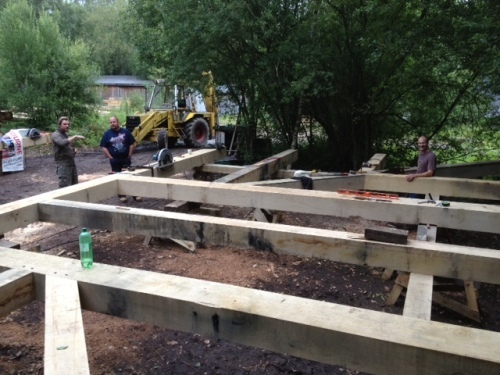 Nick Caine of Thomlinson & Cain is the Master Carpenter crafting and erecting the oak frames on site with the whole process being Project Managed by the guiding hand of Alan Deane of AD Construction. The house which has a full plan basement will be lime rendered externally to complete the traditional look. 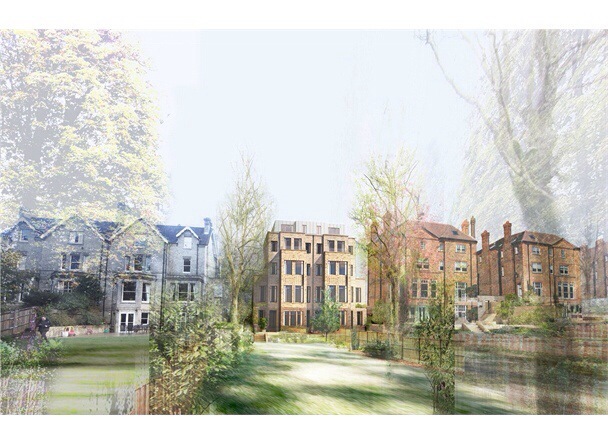 Timber exhibition structural design helps win Chelsea Gold. 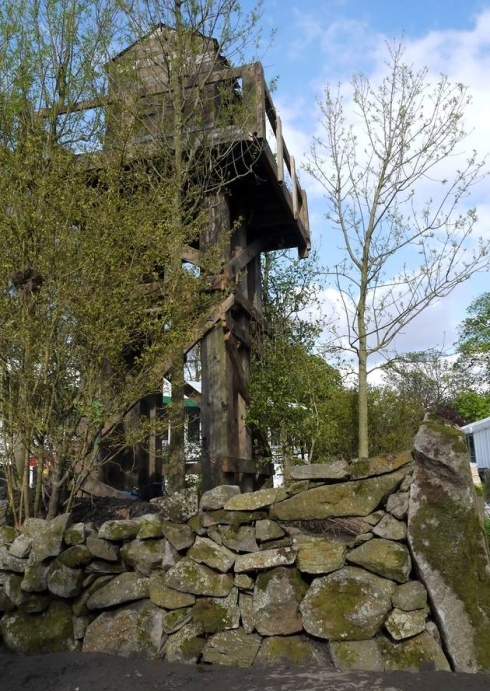 McCarey Simmonds assist South Korean artist Jihae Hwang with the structural engineering design of a lookout watchtower for the Gold Award winning ‘Quiet Time: DMZ Forbidden Garden’ at this years Chelsea Flower Show. Not many show gardens have a watchtower and barbed wire! But to mark the 60th anniversary of the Korean war (1950-53), its tensions and aftermath were evoked in the unlikely surroundings of the premier London horticultural show. The demilitarised zone that separates North and South Korea – an area off limits to civilians – has a reputation as a barren wasteland. But when South Korean artist Jihae Hwang first visited the area 10 years ago, what she found was far from the abandoned battlefield she expected. Instead, the area was filled with rare plants and animals, endangered in the rest of Korea, thriving there undisturbed. 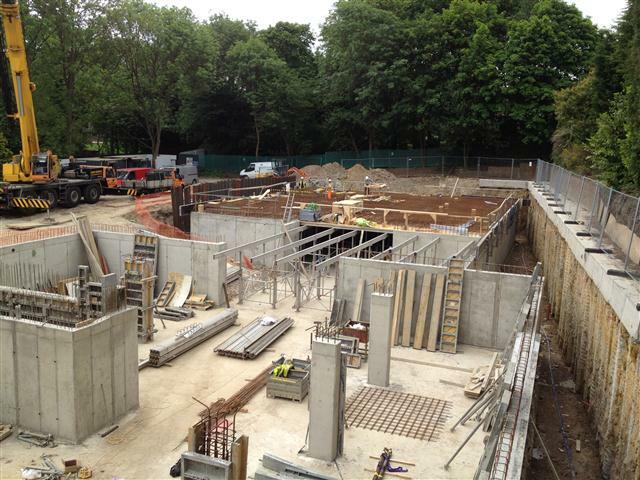 Works are under-way on the formation of the basement car parking and ground floor reinforced concrete transfer slab for ten luxury apartments being constructed in Oxshott, Surrey. McCarey Simmonds are responsible for the superstructure design and acting as the client’s engineers, for overseeing the substructure design. More to follow.